From new and innovative microinsurance projects to an exciting merger with Milliman, 2017 has been an historic year for the MicroInsurance Centre at Milliman (MIC@M). As we enter into the new year, we invite you to take a moment and see what we have achieved in the second half of 2017. We thank you for your support of the MIC@M and the work that we do in getting SUAVE microinsurance into the hands of 3 billion low-income people. 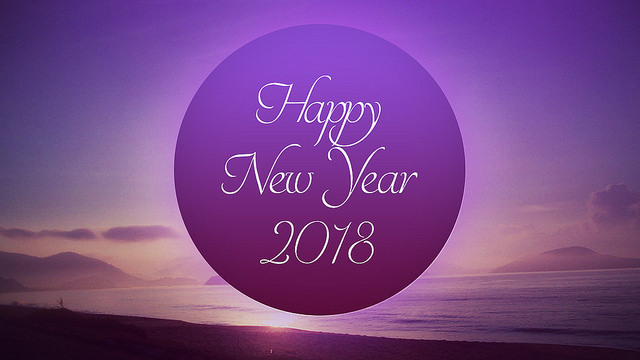 We sincerely wish you, your colleagues, and your families great success and happiness as you embark upon 2018. Happy New Year! We are excited to announce that we have joined forces with Milliman, Inc, a premier global consulting and actuarial firm. This milestone move aligns the MicroInsurance Centre's (now MicroInsurance Centre at Milliman, or MIC@M) interest of expanding our vision with Milliman's goal of protecting the health and financial well-being of people everywhere, including in emerging markets. As Milliman chief executive officer Steve White puts it, "The MicroInsurance Centre's pedigree of deep expertise, its independence, and its ability to deliver research and education around microinsurance pair perfectly with Milliman's values and global footprint. We look forward to working with the MicroInsurance Centre in support of its bold vision." We are enthusiastic at the opportunities this will bring to have an even greater impact on meeting the risk protection needs of low-income populations across the globe. For more information, please see the official press release (also available in Spanish). 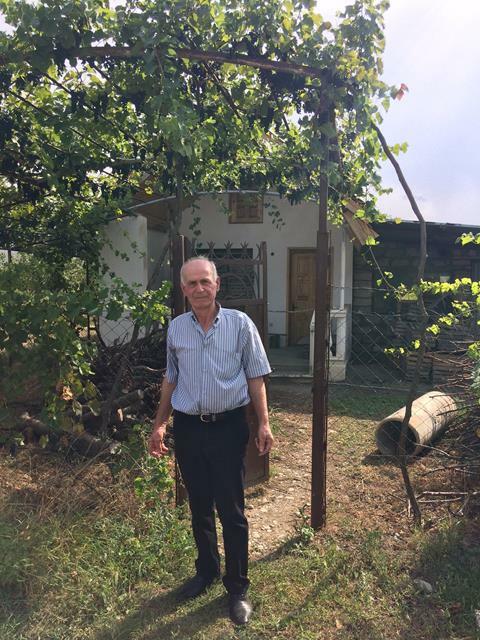 In December 2017, Microfinance Strategy (MFS), the MicroInsurance Centre at Milliman, and Agriculture Consulting Europe (AESA) were awarded a competitive contract by the German Development Bank KfW to develop and pilot an agricultural insurance scheme in Armenia. Key stakeholders of the project include the Central Bank of Armenia, the Ministry of Agriculture, KfW and the InsuResilience Fund, and local insurance companies. This constitutes the implementation component of a larger, multi-phased project to promote risk management systems in the Armenian agricultural sector, one of the most significant in the country. Click here to access a short news post by Agroinsurance International on the overall project. Milliman was represented by the MIC@M team and MicroAssist by Mike Weilant at the 13th International Microinsurance Conference in Lima, Peru from 7 - 9 November. Managing director Michael J. McCord facilitated a session focused on matching customer needs through innovations in microinsurance as well as participated in a panel hosted by Milliman. Mike Weilant facilitated the Milliman panel, which centered on keeping the “micro” in “mass” insurance – a significant and relevant topic for the Latin American context. Click here to access a brief report of the conference on Munich Re Foundation's website. A more comprehensive report will be released in the coming months. As part of our four-year project with the U.N.'s International Fund for Agricultural Development (IFAD), over the last six months, MIC@M consultants have been carrying out initial country assessments in each of the target countries - Ethiopia, China, and the Republic of Georgia. These assessments provide knowledge and understanding of the country context in order to identify the key risk management issues and areas where microinsurance or other risk management tools can address them. Specifically, the teams are evaluating the status and past experiences of rural programs, the gaps faced by the rural population, potential distribution channels and other partners, and the regulatory environment, as well as gaining an understanding of IFAD country programs. This project focuses on developing "innovative risk management tools for the rural poor." Core team members on the project include Clémence Tatin-Jaleran, Roland Steinmann, Jan Kerer, and 17 Triggers, a global behavior change lab based in Cambodia. As he has done every year since 2005, Michael J. McCord taught a week-long course at the annual Boulder Microfinance Training program in Turin, Italy, during the last week of July. The course, titled "Microinsurance that makes a difference: Getting beyond credit life," attracted just under 30 students from 21 different countries and was conducted simultaneously in both English and French. For more information on Boulder MFT 2018 programs, click here. In mid-November, the MIC@M facilitated both a panel and member break-out sessions at the Global Banking Alliance for Women (GBA) Annual Summit in London. 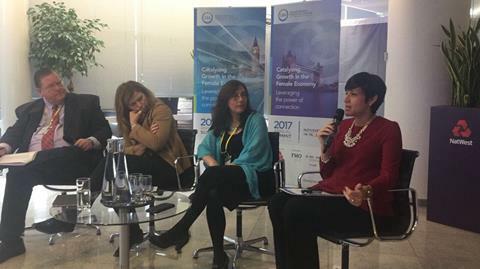 The panel topic was the "Business Case for Insurance Tailored to the Women’s Market" and included the following panelists who were also active Working Group members throughout the year: Pura Mendez, women’s market segment manager at Banco BHD Leon in the Dominican Republic; Maria Belén Sánchez Valdivieso, commercial insurance manager at Banco Pichincha in Ecuador; and Sara Fert, group customer director at AXA France. Key points from the panel session are available online. This summit marked the end of our work for the GBA, which involved facilitating a working group focused on the women's market for insurance with 12 GBA members. Key takeaways from this group include preliminary indications of a potential business case as well as best practices regarding how to service the women's market. Read these findings and more in the draft InBrief (final version to be published in Q1 2018). workers across Asia, Africa and Latin America. The roundtable also addressed how to leverage IT and digital payments to develop affordable micro-pension programs. How does inclusive insurance contribute to sustainable development? Inclusive Insurance and the Sustainable Development Goals: How insurance contributes to the 2030 Agenda for Sustainable Development was released in August 2017. 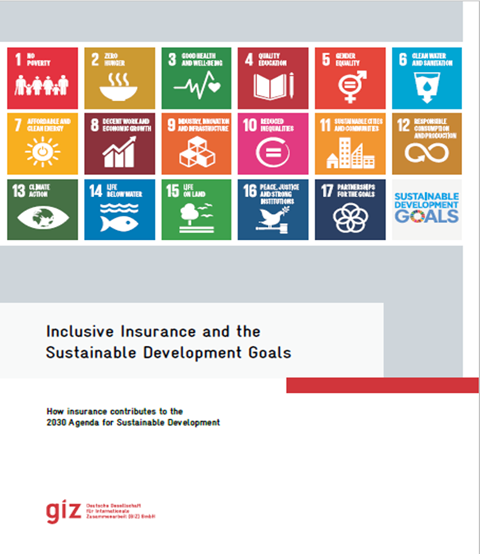 Co-authored by MIC@M's Katie Biese and Michael J. McCord as well as by Solveig Wanczeck and Martina Wiedmaier-Pfister and published by GIZ, this monumental publication gives an overview of how insurance is a primary contributor to six sustainable development goals (SDGs) and a secondary contributor to five additional SDGs. The publication analyzes how insurance helps to end poverty in all its forms everywhere (SDG 1), end hunger, achieve food security and improved nutrition and promote sustainable agriculture (SDG 2), ensure healthy lives and promote well-being for all at all ages (SDG 3), achieve gender equality and empower all women and girls (SDG 5), promote sustained, inclusive and sustainable economic growth, full and productive employment and decent work for all (SDG 8), and take urgent action to combat climate change and its impact (SDG 13). Achieving the SDGs and their targets requires global engagement across a variety of public and private sectors, including insurance. A global effort among insurers, governments, the development community, and other key stakeholders to promote inclusive insurance is needed now. Click here to download the publication from our website. From September through November, our team was busy delivering various microinsurance trainings to insurance companies and distributors in Egypt. The MicroInsurance Centre at Milliman together with the Japan International Cooperation Agency (JICA), the Insurance Institute of Egypt (IIE), the Financial Services Institute (FSI), and the Financial Regulatory Authority (formerly EFSA) is developing and conducting this series of MI trainings with the aim of advancing the microinsurance sector in Egypt. The process includes a training of trainers (ToT) portion aimed at building capacity and sustainability of the program. Read JICA's Facebook post about the launch of this series in September 2017. MIC@M managing director Michael J. McCord delivered a keynote address to attendees of the 4th Regional Learning Sessions - Eastern and Southern Africa which took place in Kigali, Rwanda from 29 - 30 August, 2017. In his keynote, Michael emphasized the business case for inclusive insurance, its components, its link to the sustainable development goals (SDGs), and existing opportunities for African insurers. The MIC@M also facilitated a panel session on "Strategy and Business Modeling" with panelists Lorenzo Chan (president/CEO, Pioneer Life Inc. Philippines), Mark Robertson (strategy manager, Hollard, South Africa), and Jeremy Leach (founder/CEO, Inclusivity Solutions, South Africa). View the following article on the event originally from The New Times: "Why insurance companies should target informal sector"
The MIC@M was honored to present at the 7th APEC High Level Meeting on health and the economy which took place from 23 - 24 August in Ho Chi Minh City. Michael J. McCord spoke on the topic of enabling alternative health financing mechanisms in the APEC region, including ways to leverage health microinsurance to promote universal health coverage. Click here to access an overview of the high level meeting. Where: World Bank headquarters, Washington D.C. Thank you for your interest in the MicroInsurance Centre at Milliman. You are receiving this e-mail as a member of our mailing list.